Digital car racing games have been around for decades—but not in the sense that they are today. The dual racecar simulator is a crowd pleasing virtual racing game where you and your buddies can pair up and race against each other. This attention-grabbing game is great for racing themed events, kids, adults, and anyone in between. Bring out your guests’ competitive side and have a little fun while you’re at it. Find out who’s the best driver of the bunch. 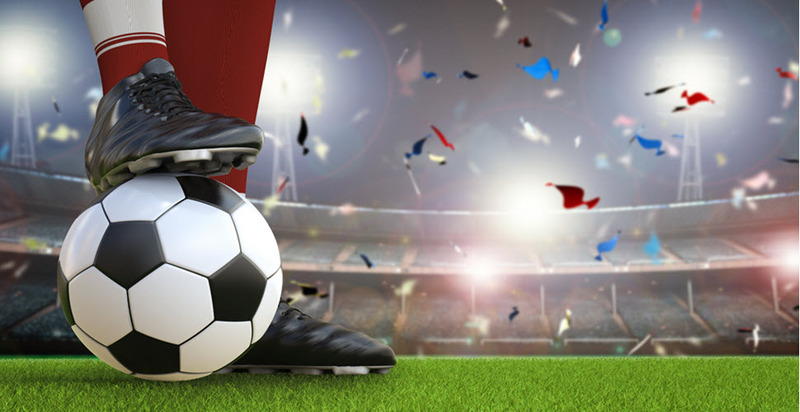 Offering five of the most popular sports to choose from, including: golf, baseball, hockey, football, and soccer, the virtual sports arena is great for players of all ages who simply love sports. This is a great game to include in sports-themed events. A giant screen allows players to kick or throw in the game of their choosing with astounding accuracy, making it a truly virtual experience. This is a classic lip-syncing & karaoke game with a huge twist. Combined with animation, Dance Heads pastes players’ faces on professional dancing bodies that rock it to some of the most popular musical hits of all time. Creating a funny and fun music video for all to watch, this is the perfect party game and souvenir rolled into one activity. Do you have an artistic side, but don’t want to deal with the hassle of messy art supplies and projects? The Digital Graffiti Wall is perfect for a few laughs and is a great way to express your artistic abilities without the mess. This feature is great for younger crowds as well as the older ones. Basically how it works is: your picture is taken and then blown up on a large screen. You can then decorate it, and add artistic filters and drawings. The feature comes complete with stencils for those of us who need a little help in the artistic department. This video game wall comes with 3, 42” TV screens and is able to accommodate up to 12 players in a group. The feature supports the most popular gaming systems such as Wii, XBOX, and Playstation. Have a ball playing competitive sports games like bowling and baseball with large groups—everyone can play, no one has to feel excluded! Creative Event Services has built an extensive collection of party-planning ideas that satisfy the complete range of party needs. Whether you are planning a sports, carnival, or casino-themed party, we have the ability to take your party from underwhelming to over-the-top. 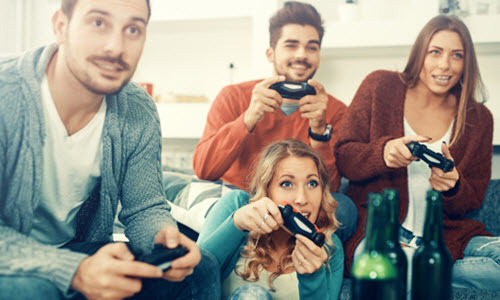 For all of our virtual game rentals, we always ensure that everything is set up and working properly for you and your guests—and we’re here to answer any questions along the way. Event planning isn’t something that everyone loves to do, but at Creative Event Services it’s our passion. Allow us to help take some of the burden of the planning and setting up off of your shoulders; after all, it’s what we do! Contact us for more information about the extensive selection of virtual games we offer—we are happy to satisfy the party animal in both you and your guests.